At first, they forget little things like where they placed their keys or someone’s birthday. That’s natural—it happens to everyone as they age. 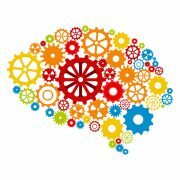 How do you know when the forgetfulness is becoming a bigger issue that may require memory care support? Other signals that something serious may be wrong include agitation, disruption in sleep, personality changes, and even delusions. 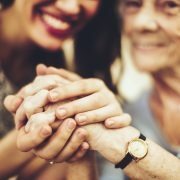 Ask yourself the following questions to determine if your loved one may need memory care that is beyond what you can provide. Are your loved one’s finances in order? Are bills going unpaid? Has he or she made unusual purchases? Has your loved one become vulnerable to scams and sweepstakes? Experts say that an early sign of dementia is the inability to understand money, debt, credit, and contracts. That’s because the disease impacts cognitive skills, problem solving and judgment. Has her physical appearance changed? If you notice that your family member has lost weight, it may be because she has no appetite or is forgetting to eat. The opposite also can occur—she may forget that she has already eaten and then eat again. Is she no longer well groomed? Some patients with dementia or Alzheimer’s neglect their hygiene, either because they simply forget or because they are apathetic. The disease affects procedural memory, which is the ability to carry out certain routine actions such as bathing, dressing, brushing teeth, medication management, and more. Does your loved one appear confused or disoriented? Does he wander off and then not know where he is? More than 60 percent of people diagnosed with Alzheimer’s or dementia wander. Since the disease destroys brain cells responsible for not only memory but also thinking and behavior, they often get lost even in a familiar setting. Has his behavior become unpredictable? Often, a person with Alzheimer’s or dementia has mood swings and may become aggressive and suspicious for no apparent reason. These shifts in behavior may be caused by physical discomfort and the inability to express it. Or it may be a factor of the environment and being easily confused. Lack of sleep can also contribute to erratic behavior. Sunset and early evening can bring on increased memory loss, confusion, agitation, and anger. This is known as Sundowner Syndrome. Are you concerned with your loved one’s living conditions? Household issues such as water damage can indicate repeatedly forgetting to turn off the water. Burn marks may mean he left something on the stove too long. Another indicator of a problem is too much or too little food. When shopping, he may not recall what he needs and buy more or not enough. Or perhaps his daily medications are piling up. If you feel your loved one may be suffering from more than age-related memory loss, don’t hesitate to get help. Great advances are being made in person-centered care for those with advanced dementia and Alzheimer’s. A licensed memory care facility may be the best, and safest, option for your loved one. 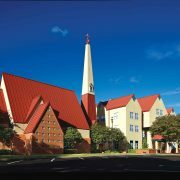 Click here for more information on Campbell Cove and the Hughes Center at St. Catherine’s Village. St. Catherine’s Village has received three Best Of 2016 Awards from the Clarion-Ledger, part of the USA Today network. For the second year in a row, St. Catherine’s Village was named Best Nursing Home, Best Assisted Living Facility and Best Retirement Community in Mississippi. The all-inclusive Life Care Community is a service of St. Dominic’s, which also was voted best hospital. 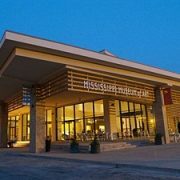 Dubbed “Mississippi’s Official People’s Choice Awards,” Best Of 2016 winners are voted by readers of the Clarion-Ledger, the state’s largest newspaper. Mississippi residents 18 and older are eligible to vote online in numerous categories from beauty and health to services and from dining to sports. 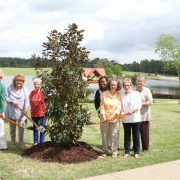 Located on 160 acres in Madison, St. Catherine’s Village is Mississippi’s preeminent Continuing Life Care Community and the first retirement community in the state to earn accreditation by CARF-CCAC. This “commitment to excellence” seal signifies that the campus exceeds the standards established by the only international accrediting body for CCRCs. Furthermore, Campbell Cove and the Hughes Center are both licensed by the State of Mississippi as “Alzheimer’s Assisted Living” facilities. Adults 62 and older are welcome at St. Catherine’s Village with options that include independent living in apartments and garden homes, assisted living in Marian Hall, memory care in Campbell Cove and Hughes Center, and skilled nursing in Siena Center. 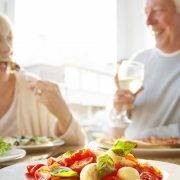 In each lifestyle stage, residents pay a monthly fee that covers utilities, services and amenities that make living comfortable, carefree and secure. In addition to unparalleled facilities, St. Catherine’s Village offers a caring staff, companionship, 24-hour on-duty security, protected and beautiful outdoor spaces, and engaging activities along with access to on-site resident-centered care and a mission-focused environment. The ministry encourages residents in all levels to enjoy fullness of life, health and faith. With independent living, assisted living, skilled nursing, and assisted living memory care, St. Catherine’s Village provides the right care at the right time for those in their retirement years. For more information, call (601) 856-0123 or log onto www.StCatherinesVillage.com.